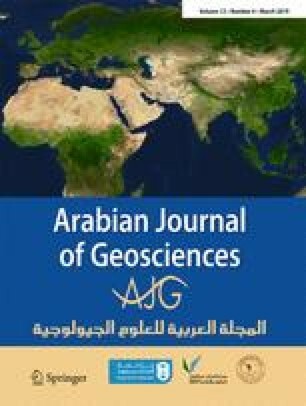 Further development of stimulated reservoir volume (SRV)-fracturing technologies for horizontal wells is necessary to address the current situation of decreasing energy production from conventional sources and continuous increases in the proportion of alternative energy sources (unconventional hydrocarbons). To this end, the theoretical productivity prediction methods used for SRV-fractured horizontal wells must be studied. In this article, based on a structural description of hydraulic fracture networks around horizontal wells, we summarize and evaluate various types of productivity prediction models built by researchers using analytical, semi-analytical, and numerical methods. We find that while these models are convenient and efficient, analytical models are overly ideal and differ considerably from actual fracture network patterns. We also find that semi-analytical models offer high computational accuracy but are applicable only to the prediction of single-well single-phase productivity. Furthermore, numerical models can address more complex fracture network patterns and can be used to calculate the multi-phase productivity of well patterns but involve a complex initial input process. On this basis, we summarize the problems and challenges associated with the existing productivity prediction models and specify five pertinent key techniques involved in building more accurate productivity prediction models: the techniques for describing complex fracture network structures; the technique for simulating multi-phase flows in reservoirs; the multi-scale multi-field flow coupling theory; the technique for calculating numerical solutions for complex models; and the technique for matching well type, well pattern, and fracture network systems. This research was supported by the National Natural Science Foundation of China (NSFC) (No. 51704235, 51874242), Young Talent fund of University Association for Science and Technology in Shaanxi, China (No. 20180417).